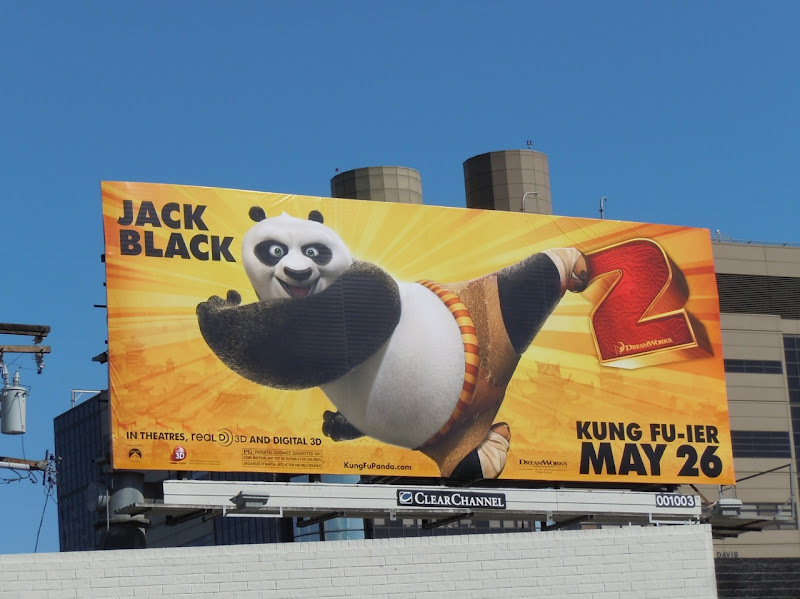 Daily Billboard can't imagine Jack Black ever being able to strike a pose like this in real life, so it's lucky his cuddly alter ego, 'Po the Panda', is such a martial arts expert. 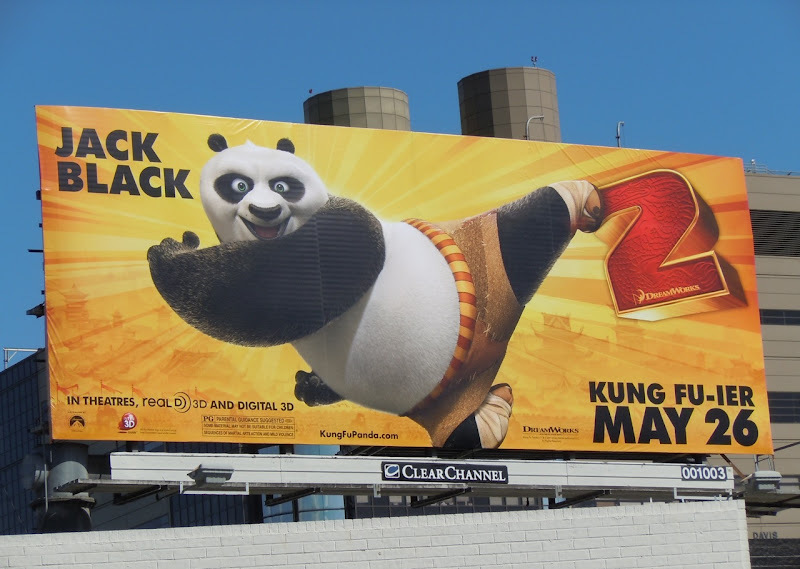 Apparently Kung Fu Panda 2 is even more 'Kung fu-ier' in this animated sequel. Don't you love how marketers dream up new words? Mind you saying that, Daily Billboard always uses the word 'impactful' to describe billboards, even though it's not really in the dictionary and is just more marketing lingo, so we shouldn't be too critical. With all that in mind, the bright colours and action pose of this billboard really does catch your eye as you drive by. 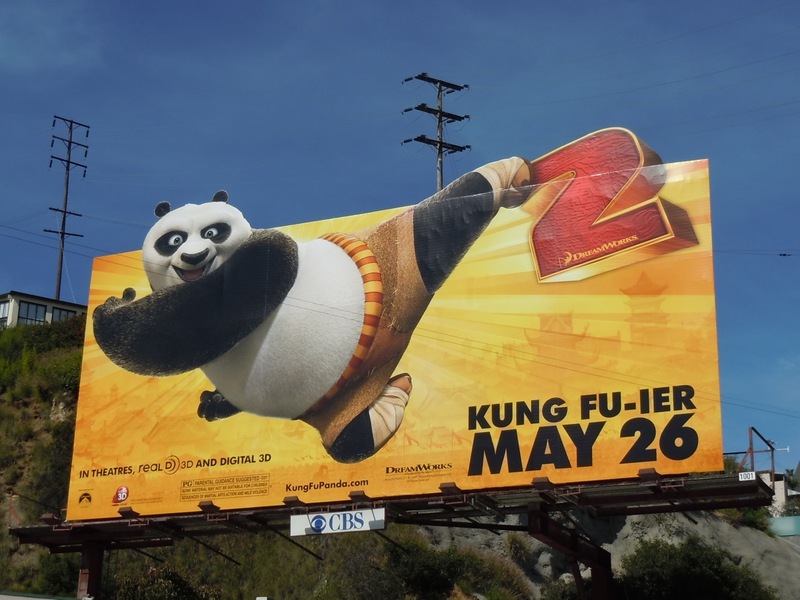 This bulletin billboard with the special space extension (Kung Fu Panda's foot kicking the big 2) was snapped along Sunset Boulevard on March 30, whilst the standard format was captured earlier along Beverly Boulevard near Robertson on March 22, 2011.